The driver and passengers of a vehicle that was hit by an Uber driver. Pedestrians that were struck by an Uber driver. Uber drivers themselves who were injured by the fault of another driver. Uber Passengers who were injured in a crash while ride sharing. If you have been involved in an accident that involved an Uber vehicle, this information will give you the information and resources you need to educate yourself about what you should and should not be doing to protect your legal interests. In the event that you become overwhelmed, or confused, or would just rather talk to an Uber accident lawyer about your case, we are happy to speak with you. Simply call us at (919) 887-8582. What to Do if You Have been in an Uber Accident? What if another Driver (not my Uber Driver) is at fault? What if You were Hit By An Uber Driver Who was Off-Duty? 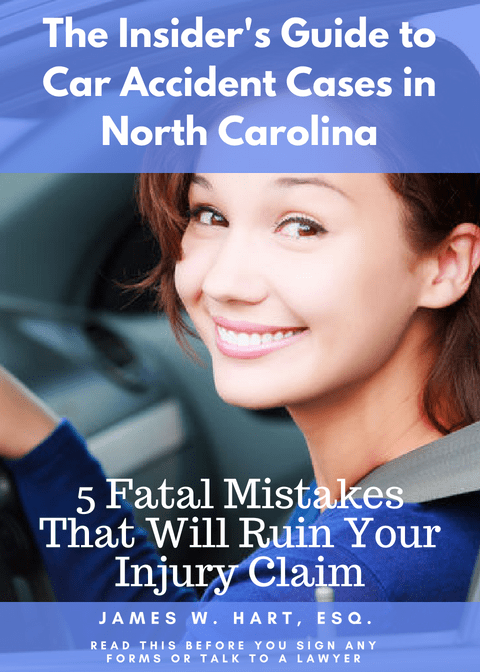 Can You Use Your North Carolina Med Pay if you have been involved in an Uber Accident? First the good news – evidently having Uber drivers on the road is a good thing. Ridesharing in general seems to lead to a decrease in fatal car crashes, drunk driving, and some types of crime. This makes logical sense because more people are likely to use an Uber after a night on the town instead of attempting to drive home drunk themselves. On the flip side, Uber drivers are more likely to use their cell phone while driving as they tap on directions and confirm their pick-ups and drop-offs. One would think that this would lead to an increase in Uber-related collisions. There is currently no database or study that shows the rates of accidents overall as compared to the rates of accidents that involved an Uber vehicle. Time will tell whether use of an Uber is safer than driving your own vehicle. If you have been involved in an Uber accident, the most important thing you can do is try to stay calm. Recognizing that you probably won’t be reading this article until after the accident, make sure that you notify Uber through your app that you were involved in a crash. Call 9-1-1 and a family member, friend or other loved one to assist you at the scene. We have created an entire article on what to do if you have been in a car accident. If you were seriously injured, it is likely that a witness to the accident, or even a paramedic or police officer will be the first person to attend to you. Follow the instructions of the paramedic and don’t move. Have your family member or friend snap photos and videos of the accident scene with a smartphone. Make sure to collect as much information about the crash as possible, including the names, insurance and contact information of everyone involved (including your Uber driver and other drivers involved in the accident). You will also want to track down the contact information for any witnesses who saw the crash and get their statement. Finally, don’t forget to take a screen shot of the Uber ride and receipt on your phone. I know this is going to sound like a lawyer answer, but the best answer is “it depends”. The reason for this is that both Uber and Lyft hire drivers as independent contractors. As such, Uber as a company is not responsible for the actions of its drivers. This is different than if you were injured in a trucking accident where the driver of the truck was an employee of the trucking company. So instead of suing Uber directly, you would more likely have to sue the Uber driver instead. According to Money Magazine, both Uber and Lyft carry a $1 million liability policy that would cover you in the event that the driver does not have enough insurance. Your own underinsured motorist policy could also play a role in your settlement. It will be important for you to hire a lawyer who can send out evidence preservation letters to both the Uber driver and Uber/Lyft legal offices. This will require them to preserve all information and data related to your ride. In the case where someone else is at fault for the accident, then you would file your claim with the other driver. However, if that driver did not have enough insurance to pay the claim, then Uber and Lyft have a $1 million underinsured motorist policy in place to pay the damages. This is where things get a little tricky. If the Uber Driver was off-duty, in other words he or she was logged out of the app and driving their car for personal reasons, then you would likely not be able to recover under the $1 million umbrella policy in place for Uber. However, if the Uber driver did not have a passenger, but was logged into the app and “working”, then the issue is a bit more up in the air. Some states have required that Uber’s insurance would apply anytime the driver was in their car and logged into the app. If you were hit by an Uber driver who did have a passenger, then it is likely that the Uber insurance policy would kick in and cover the claim. Medical Payments (or Med Pay) coverage on your auto insurance policy is a special type of “no-fault” coverage that will pay for your reasonable medical expenses if you or a blood member of your family have been injured in an auto accident. This is an optional coverage that most North Carolina drivers will add to their policy. It doesn’t matter if you were the driver of the vehicle or a passenger – you will still be able to collect Med Pay if you have been in an auto accident and have incurred medical expenses. Unless there is an exclusion of some sort in the policy for Uber Accidents, you should be able to recover for your medical payments. The question is not whether you will be able to recover under Med Pay, but rather who’s policy you will be able to recover under? And the answer is that there may be several. In all likelihood, you would start with the at fault driver’s Med Pay. This could be the driver of the Uber or the driver of another car that caused the accident. If they don’t have Med Pay on their insurance policy, then you can collect under your own policy, or the policy of someone in your family. If you have a question for us, you can submit it confidentially online by clicking here. You can also call The Hart Law Firm at (919) 887-8582. We are happy to speak to you and answered any detailed questions you may have.